Telecom Minister Kapil Sibal said the new version of the low-cost Aakash tablet PC is expected to be available to students on November 11. "Hopefully on November 11, you will see the President talking to 20,000 students across the nation (who) will have their hands on Aakash," Sibal told reporters here at the Economic Editors' Conference. He added that Aakash, an instrument of empowerment, will feature 1 Ghz processor, four-hour battery time, capacitive screen andAndroid 4.0 operating system under the new version. Sibal said going forward, the price of the device is expected to come down to "$ 35, which will be around Rs 1,500" with setting up of manufacturing activities in India. "At the moment, we are actually formulating a Cabinet note for the manufacturing of five million Aakash tablets without any financial burden on the Ministry of Finance," Sibal said. The tablet 'Aakash' was launched in October last year by the government to make available computing devices to students at subsidised rates. However, the project ran into controversy following IIT Rajasthan rejecting the devices manufactured by Datawind. 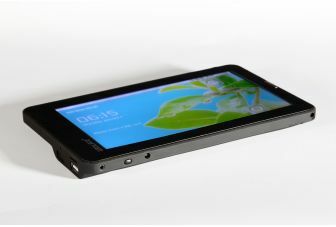 Datawind had won the tender for making and supplying one lakh Aakash tablets for price of around $ 49 per unit. go to the wikipedia site and looks 35% of hardware components were sourced from South Korea, 25% from China, 16% from the USA, 16% from India and 8% from other countries.....! where is india's contribution...?